Years ago at the height of the whole language movement in California, a fourth grade teacher began his first year of teaching. Committed to teaching to the individual needs of his students, he consulted his mom for advice. Mom had recently retired after teaching 35 years as an intermediate and upper elementary teacher. She also had waded into the middle school environment for a few years before settling down in fifth grade for the last ten years of her career. Mom suggested that he assess his students and then assign targeted worksheets to address specific deficits indicated by the assessments. Her son had never heard this in his experiential learning teacher training program. He knew how to do role plays and simulations, but not much about teaching (even in his methods classes). Mom climbed up into the attic and brought down her neatly packed boxes of teaching files. She dug out hundreds of grammar, spelling, vocabulary, and reading worksheets for her son to check out. The rookie teacher was overwhelmed at the treasure trove of resources. Most of the worksheets fit the fourth grade age level and were quite good. As a veteran teacher, mom had carefully weeded out the “drill and kill” worksheets and had saved the ones that students learned from best. Every worksheet had been field tested and had Mom’s seal of approval. Some of the worksheets were from educational publishers long out of business or bought up by huge educational syndicates, but most of the worksheets were Mom’s own–no doubt revisions of store-bought products. Half of these worksheets were on old mimeograph (ditto) paper (Remember the smell?) Half of them were word processed documents after the advent of cheaper school copiers and duplo machines. Mom warned her son not to share the worksheets with colleagues. No, she wasn’t worried about the copyright infringements; she was worried that her untenured son would be accused of not solely teaching the district adopted curriculum. She had heard that State Superintendent of Schools, Bill Honig, had removed workbooks from the approved supplemental resource list and was even reported as telling principals to confiscate any spelling workbooks at school sites. Those were the early days of the National Writing Project in which spelling (and punctuation, grammar, and word choice) were relegated to the editing-only stage of the writing process. Teachers regularly told students not to worry about spelling (or anything smacking of language conventions) during the rough draft stage of their writing because they could “clean up” the language for their final draft. If they chose to complete final drafts. What Happened to Spelling Test Scores? In his fourth grade classroom the new teacher faithfully taught the district adopted curriculum, but he found time to “sneak in” worksheets targeted to individual assessment-based skills and concepts deficits. Students completed assigned worksheets, self-corrected and self-edited any errors from the Answer Book, and brought up the graded worksheet to their teacher for review. Each worksheet had a short test (a formative assessment) to see if the student had mastered the focus skill or concept. The test was a short written application to see if the student understood and could use what was learned correctly. Most of the time the student successfully masted the skill. Students loved completing the worksheets and placing the gold star next to their name on the wall poster. The spring test results came in shortly after school started back up in September. The principal called in the now second-year teacher and asked him why his test scores were so much higher than those of his grade level team. “I just followed the district-adopted curriculum and I had great kids,” he replied. That night he took Mom out to dinner. The educational research provides insight as to what makes a spelling worksheet an effective instructional strategy for knowledge and/or skills acquisition. As publisher of the grades 4-8 Grammar, Mechanics, Spelling, and Vocabulary (Teaching the Language Strand) programs and the grades 4-8 Differentiated Spelling Instruction (slices of the aforementioned programs), our company has applied the following research suggestions to create research-based spelling worksheets. Following will state the research suggestions listed as “Dos” in the above article and the specific worksheet applications of the research will follow with the worksheets from the programs listed above. A sample Spelling Patterns Worksheet is provided thereafter. Teachers should design practice tasks with students existing knowledge in mind. The Spelling Pattern Worksheets are assigned according to the results of the Diagnostic Spelling Assessment (the link connects to the eight grade assessment). Each of the grades 4-8 assessments includes an audio file to make administration simple (great for make-ups as well). Here’s a link to the eighth grade audio file and to the recording matrix for progress monitoring. These whole class assessments perfectly correspond with the targeted worksheets so that students complete only those grade level spelling patterns which students have not yet mastered. When students succeed at practice problems, the benefits of practice are maximized. But when students become frustrated with unrealistic or poorly designed practice problems, they often lose motivation, will not receive the full benefits of the practice they have done, and will be less motivated to attempt future practice problems. Students are motivated to practice by mastering each unmastered concept or skill, marked with an “/” on the data matrix. Once a student has mastered a worksheet, points are assigned and the teacher (or student) changes the unmastered “/” into a mastered “X” on the data matrix. Yes, gold stars work, too! Provide clear instructions on performance expectations and criteria. Guide students through sample practice problems by using prompts that help them reflect on problem-solving strategies. Break complex problems into their constituent elements, and have students practice on these smaller elements before asking them to solve complex problems independently. Directions are concisely and clearly written so that students can complete the worksheets independently. Each worksheet has been field tested in grades 4-8 classrooms and revised to ensure student success. The applicable spelling rules and examples are provided before the practice section on every worksheet. Provide students with fully completed sample problems as well as partially completed sample problems before asking them to apply new problem-solving strategies on their own. The Spelling Pattern Worksheets provide samples (examples) of each focus spelling pattern. Students should have repeated opportunities to practice a task through practicing other tasks like it. Students complete a spelling sort to apply the focus spelling pattern. The practice section also includes rhyme, word search, and word jumble activities. Students receive the greatest benefits from practice when teachers provide them with timely and descriptive feedback. Students complete the spelling sort and practice section and self-correct and self-edit from the Answers Booklet to gain immediate feedback and learn from their own mistakes. Provide plenty of opportunities for students to practice applying problem-solving skills before you test them on their ability to use those skills. Next, students complete a short formative assessment (a brief written application of the focused spelling patterns) at the bottom of each worksheet and bring up the completed worksheet to the teacher for a mini-conference. The teacher evaluates the formative assessment to determine mastery and quickly checks the practice section to make sure that the student has completed and self-corrected. If mastered, the teacher (or student) changes the unmastered “/” into a mastered “X” on the data matrix. If unmastered, the teacher briefly re-teaches and the student completes the formative assessment once more. Distribute practice over extended periods of time. Students work at their own pace, completing the Spelling Pattern Worksheets. The teacher provides points for each mastered worksheet. 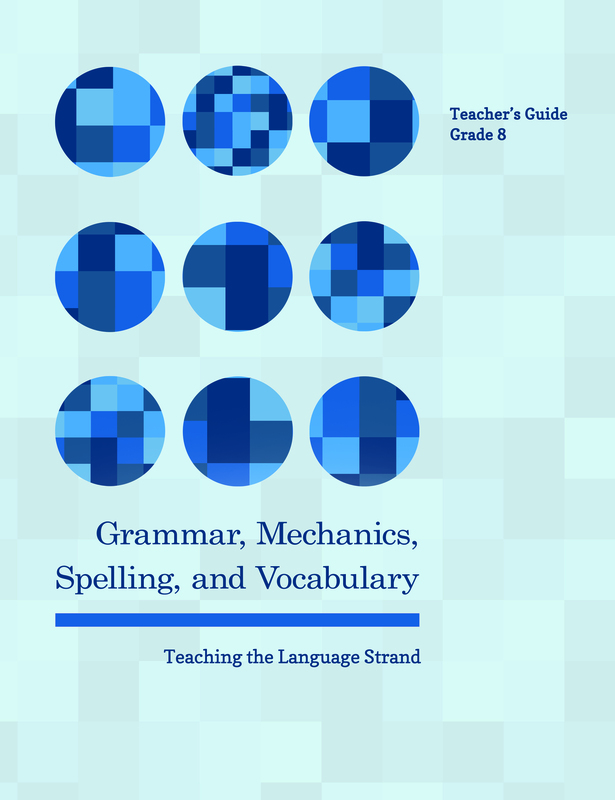 The author of this article, Mark Pennington, has compiled the assessment-based Grammar, Mechanics, Spelling, and Vocabulary (Teaching the Language Strand) BUNDLES to teach each of the Common Core Language Strand Standards. 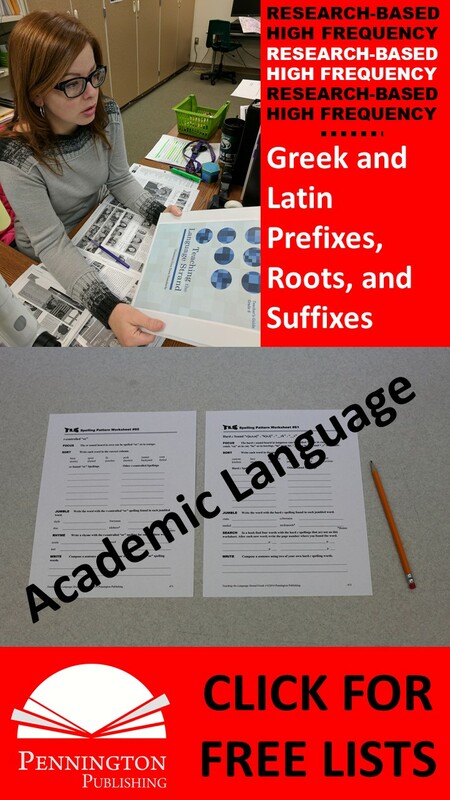 The full-year grades 4, 5, 6, 7, and 8 programs provide 56 interactive grammar, usage, and mechanics worksheets and includes sentence diagrams, error analysis, mentor texts, writing applications, and sentence dictation formative assessments with accompanying worksheets (L.1, 2). Plus, each grade-level program has weekly spelling pattern tests and accompanying spelling sort worksheets (L.2), 56 language application opener worksheets (L.3), and 56 vocabulary worksheets with multiple-meaning words, Greek and Latin word parts, figures of speech, word relationships with context clue practice, connotations, and four square academic language practice (L.4, 5, and 6). Comprehensive biweekly unit tests measure recognition, understanding, and application of all language components. In the midst of the 1980s whole language movement, California State Superintendent of Schools Bill Honig strongly encouraged principals to confiscate spelling workbooks from their teachers. Even today, spelling instruction remains a contentious topic. No other literacy skill seems to run the complete gamut of instructional implementation from emphasis to de-emphasis. Following are the 30 spelling questions, answers, and resources to help teachers get a handle on what does and what does not work in spelling instruction. Now, with my ambitious goal of providing 30 questions, answers, and resources, I’ve got to be concise. I won’t be going deep into orthographic research (much of which is contradictory and incomplete) or into detailed instructional strategies. Also, a disclaimer is certainly needed: I am a teacher-author of several spelling programs, some of which I will shamelessly promote at the end of the article. But, to be fair, I do have some relevant expertise and experience in spelling to share. I have my masters degree as a reading specialist (in fact I did my masters thesis on the instructional spelling and reading strategies used in the the 19th Century McGuffey Readers). More importantly, I have served as an elementary and secondary reading specialist and have taught spelling at the elementary, middle school, high school, and community college levels. So, enough for the credibility portion of the article and onto why you are reading and what you hope to learn, validate, invalidate, and apply in your classroom. 1. Why is spelling such a big deal? If Einstein couldn’t spell, why does it matter? Won’t spell check the best way to solve spelling problems? Whether justified or not, others will judge our students by their spelling ability. Spelling accuracy is perceived as a key indicator of literacy. And spelling problems can inhibit writing coherency and reading facility. Spell check programs do not solve spelling issues. They just takes too long to correct frequent misspellings and cannot account for homographs. 2. Can you teach spelling? Aren’t some people naturally good or bad spellers? Isn’t it learned through extensive reading and writing? 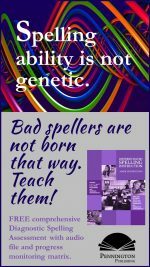 Yes, poor spellers and good spellers can be taught to improve their spelling abilities. No brain research has demonstrated a genetic predisposition for good or bad spelling. There is no spelling gene. No, spelling isn’t learned through reading and writing, but there are positive correlations among the disciplines. They are each separate skills and thinking processes and need specific instruction and practice accordingly. Whose Job Is It to Teach Spelling and to Whom Should We Teach It? 3. Isn’t spelling the job of primary teachers? Please, God, let this be so. Yes and no. Primary teachers are responsible for much of the decoding (reading) and encoding (spelling) foundations, but intermediate/upper elementary, middle school, and high school teachers have plenty of morphological (word parts), etymological (silent letters, accent placements, schwa spellings, added and dropped connectives), and derivational (Greek, Latin, French, British, Spanish, Italian, German language influences) spelling patterns to justify teaching spelling patterns at their respective grade levels. 4. Should content teachers teach spelling? Yes. The Common Core State Standards emphasize cross-curricular literacy instruction. Upper elementary teachers in departmentalized structures, middle school, and high school teachers should certainly come to consensus regarding spelling instruction and expectations. 5. Should we teach spelling to special education students? Yes, even though spelling is primarily an auditory skill and many special educations have auditory processing challenges. These students require more practice, not less. Gone are the days when special education teachers said Johnny or Susie can’t learn spelling. however, some visual study strategies do make sense. 6. Should we teach spelling to English-language learners? Yes. We cripple our English-language learners when we solely focus on reading skills and vocabulary acquisition. Besides, Spanish has remarkably similar orthographic patterns as English. How Does Spelling Connect to Other Literacy Skills? 7. How are spelling and phonemic awareness related? The National Reading Panel stressed the statistically significant correlation. Spelling is an auditory, not a visual skill, and so the connection between phonemic awareness, which is the ability to recognize and manipulate speech sounds is clear. Check out the author’s free phonemic awareness assessments. 8. How are spelling and reading related? Spelling (encoding) and reading (decoding) are both sides of the same coin. So many of our syllable pronunciations depend upon spelling rules. Check out this relationship in these teachable resources: Ten English Accent Rules, Twenty Advanced Syllable Rules, and How to Teach Syllabication: The Syllable Rules. 9. How are spelling and vocabulary related? Spelling is highly influenced by morphemes (meaning-based syllables) and language derivations. Read this article on How to Differentiate Spelling and Vocabulary Instruction for more. How Should We Teach Spelling? 10. How much of a priority should spelling instruction take in terms of instructional minutes? I suggest 5 minutes for the spelling pretest (record on your phone to maintain an efficient pace and to use for make-ups); 5 minutes to create a personal spelling list; 10 minutes to complete and correct a spelling pattern sort; 10 minutes of spelling word study (perfect for homework); and 5 minutes for the spelling posttest (every other week for secondary students). 11. Should we teach spelling rules? Absolutely. Just because the English sound-spelling system works in only about 50% of spellings does not mean that there are not predictable spelling patterns to increase that percentage of spelling predictability and accuracy. Although the sound-spelling patterns are the first line of defense, the conventional spelling rules that work most all of the time are a necessary back-up. Check out the free Eight Great Spelling Rules, each with memorable mp3 songs and raps to help you and your students master the conventional spelling rules. 12. What about teaching “No Excuse” spelling words and using Word Walls? These can supplement, but not replace, a spelling patterns program. 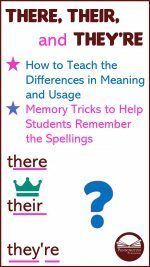 Teaching and posting the there-their-they’re words directly and emphasizing these common misspellings makes sense. 13. What about outlaw (non-decodable) spelling words? Using these words as a resource to supplement unknown words on the weekly spelling pretest is highly effective. I suggest you “kill two birds with one stone” by giving this multiple choice Outlaws Word Assessment for reading diagnosis and then the same list for spelling diagnosis. 14. What about using high frequency words to teach spelling? As a supplementary resource to the personal spelling list unknown high frequency words, such as the Dolch List, can certainly be included. But using high frequency words as weekly spelling lists involves learning in isolation. Plus these lists include both decodable and non-decodable words. Parents can certainly assess their own children and provide results to the teacher. 15. What about using commonly confused words (homonyms) to teach spelling? Some words look the same or nearly the same (homographs) or sound the same or nearly the same (homonyms) and so are easily confused by developing spellers and adult spellers alike. Check about this great list of Easily Confused or Misused Words. 16. What about teaching spelling through a Spelling Pattern Sort? Extremely valuable and a necessary instructional activity for any spelling patterns program. Closed spelling sorts based upon spelling patterns are certainly more effective than open sorts. 17. How should learning styles inform spelling instruction? Good teachers always use multiple modalities instruction. But, the research and practical application of VAKT is dubious at best and has no application to spelling. Teachers gave up teaching students to trace letters years ago. Spelling is primarily an auditory skill, so if there are auditory processing challenges, special attention and additional practice will be necessary. Check out this article titled Don’t Teach to Learning Styles and Multiple Intelligences for more. 18.Why aren’t the Common Core Standards more specific about spelling instruction? When establishing instructional priorities to address these spelling Standards, many teachers have placed spelling (Standard L. 2) on the back-burner. To wit, the intermediate elementary Standards: (CCSS.ELA-Literacy.L.4.2e) “Spell grade-appropriate words correctly, consulting references as needed.”) and middle school Standards: (CCSS.ELA-Literacy.L.7.2b “Spell correctly.”) However, the primary Standards are much more specific and the authors make a solid case in Appendix A for the importance of spelling instruction. 19. Is spelling a good subject for homework? Yes. Parents can certainly supervise spelling sorts practice, creation of the personal spelling list, and even assist the teacher with diagnostic spelling tests of supplementary spelling word lists. What about Individualizing Spelling Instruction? 20. What about qualitative spelling inventories? Qualitative spelling inventories accurately reflect and diagnose developmental spelling stages or indicate broad spelling strengths and weaknesses; however, their lack of assessing specific sound-spelling patterns make specific teaching applications problematic. 21. Is there a comprehensive diagnostic spelling assessment? 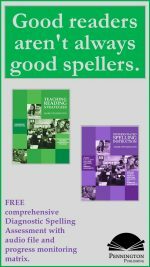 Check out the author’s free diagnostic spelling assessment. This 64 word assessment with recording matrix is comprehensive and based upon the sound-spelling patterns to be mastered in K-3rd grade. When Should We Teach What Spelling? What is the Best Way to Study Spelling? 24. What spelling review games are most effective and fun? 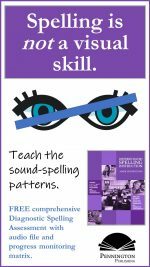 Check out these Spelling Review Games based upon spelling patterns. 25. What about writing spelling words over and over again? No. No. No. Does the Weekly Spelling Test Make Sense? 26. Does the weekly spelling test help students learn spelling words? Yes. The research is clear on this one: the test-study-test instructional approach results in spelling achievement. But, the weekly posttest is probably not efficient for upper elementary and older students. Biweekly posttests work well, but only if the teacher adopts a personal spelling list approach based upon weekly diagnostic assessments. 27. What kinds of spelling tests make the most sense? A Weekly Spelling Test based upon a focused spelling pattern allows the teacher to teach the spelling pattern and provide practice opportunities to their students to apply these patterns in spelling sorts. 28. Can the weekly spelling pretest be used as a diagnostic assessment to differentiate instruction? Yes. Dictate 15-20 spelling pattern words in the traditional word-sentence-word format to all of your students. After the dictations, have students self-correct from teacher dictation (primary) or display (older students) of the correct spellings. Students create personal spelling list in this priority order. Pretest Errors: Have the students copy up to ten of their pretest spelling errors. Posttest Errors: Have students add on up to five spelling errors from last week’s spelling posttest. Writing Errors: Have students add on up to five teacher-corrected spelling errors found in student writing. Supplemental Spelling Lists: Students select and use words from other resources linked in this article. What Criteria Should Teachers Use to Pick a Good Spelling Program? 30. Give me an example of a good one! Every teacher knows that word parts are the building blocks of words. Most teachers know that learning individual word parts and how they fit together to form multi-syllabic words is the most efficient method of vocabulary acquisition, second only to that of widespread reading at the student’s independent reading level. These word parts that are, indeed, the keys to academic vocabulary—the types of words that students especially need to succeed in school. However, most teachers do not know the best instructional methods to teach these important word parts. The Test Method: “Here is your list of ten prefixes with game cards to memorize this week. Test on Friday.” No instruction + no practice = no success. The Literature-based Method: “Notice the prefix pre in the author’s word preamble? That means before. Let’s look for other ones. The Intensive Vocabulary Study Methods: “Let’s use our Four Square vocabulary chart to study the prefix pre. Who knows an antonym? Who knows an example word? Who knows a synonym? Who knows an inflection that can be added to the word? Who knows…? Spend at least 15 minutes “studying” this one prefix.” How inefficient can you get? The Modality Methods (VAK): “Let’s draw the prefix pre in the word preamble. Then draw a symbol of the word that will help you remember the word. Use at least three colors. If you prefer, design a Lego® model of the prefix.” Check out this relevant article on Don’t Teach to Learning Styles or Multiple Intelligences. Teaching the high utility Greek and Latin prefixes, roots, and suffixes is a very efficient tool to acquire academic vocabulary. These morphological (meaning-based) word parts that form the basis of English academic vocabulary are primarily Greek and Latinates. Prefixes and roots carry the bulk of important word meanings; however, some key suffixes are important, as well. Over 50% of multi-syllabic words beyond the most frequently used 10,000 words contain a Greek or Latin word part. Since Greek and Latinates are so common in our academic language, it makes sense to memorize the highest frequency word parts. See the attached list of High Frequency Prefixes, Suffixes, and Roots for reference. Word part clues are highly memorable because readers have frequent exposure to and practice with the high frequency word parts. Additionally, they are memorable because the simple to understand use of the word part can be applied to more complex usages. For example, bi means two in bicycle, just as it means two in bicameral or biped. Analogy is a powerful learning aid and its application in academic vocabulary is of paramount importance. One of the most effective strategies for learning and practicing word parts by analogy is to have students build upon their previous knowledge of words that use the targeted word parts. Building student vocabularies based upon their own prior knowledge ensures that your example words will more likely be within their grade-level experience, rather than arbitrarily providing examples beyond their reading and listening experience. After introducing the week’s word parts and their definitions (I suggest a combination of prefixes, roots, and suffixes), ask students to brainstorm words that they already know that use each of the word parts. Give students two minutes to quick-write all the words that they know that use the selected prefix, root, or suffix. Then, ask students to share their words in class discussion. Quickly write down and define each word that clearly uses the definition that you have provided. Ignore those words that use the word part, but do not clearly exemplify the definition that you have provided. Require students to write down each word that you have written in their Vocabulary Journals. Award points for all student contributions. Effective vocabulary study involves practice. One of the best ways to practice prefixes is through vocabulary games. A terrific list of word play games with clear instructions is found in Vocabulary Review Games. Memorization through association places learning into the long-term memory. Connection to other word parts helps students memorize important prefixes, roots, and suffixes. 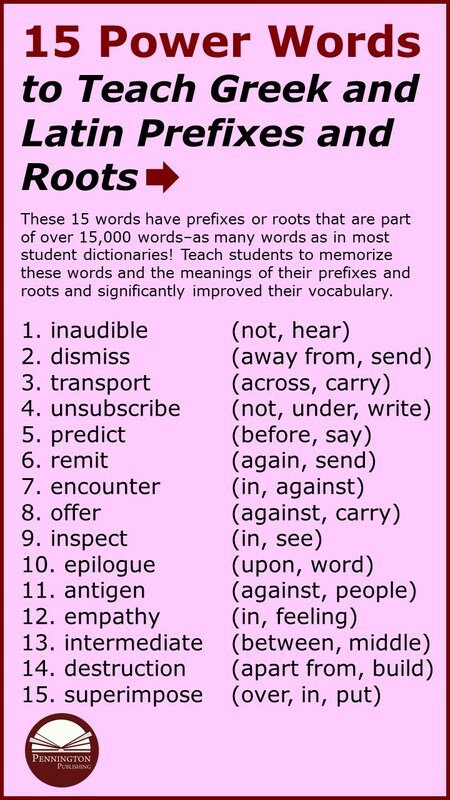 These fifteen words have prefixes or roots that are part of over 15,000 words. That is as many words as most student dictionaries! Memorize these words and the meanings of their prefixes and roots and you have significantly improved your vocabulary. 5 points for a prefix—root—suffix combination that no one else has. Game can be played timed or untimed. Teaching basic syllabication skills helps students understand and apply how syllable patterns fit in with decodable word parts. The Transformers activity teaches the basic syllables skills through inductive examples. In addition to the basics, the Twenty Advanced Syllable Rules provide the guidelines for correct pronunciation and writing. Teaching the Ten Accent Rules, including the schwa, will assist students in accurate pronunciation and spelling. Using a comprehensive spelling pattern spelling program will teach how prefixes absorb and assimilate with connected roots, how roots change spellings to accommodate pronunciation and suffix spelling, and how suffixes determine the grammar, verb tense, and limit the meaning of preceding prefixes and roots. Beyond primary sound-spellings, spelling and vocabulary have an important relationship in the structure of academic vocabulary. Only recently has spelling been relegated to the elementary classroom. 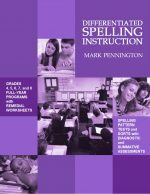 Check out Differentiated Spelling Instruction to see how a grade-level spelling program can effectively incorporate advanced vocabulary development. The bicameral legislative system of the House and Senate provide important checks and balances. Identifying the context example clues, “House and Senate” and “checks and balances,” combines with the reader’s knowledge of the word part, bi and help the reader problem-solve the meaning of the unknown word: bicameral. Similarly, having students develop their own context clue sentences, in which they suggest the meaning of the word parts and words with surrounding synonyms, antonyms, logic-based, and example clues is excellent practice. After introducing the week’s word parts and their definitions (I suggest two prefixes, three roots, and two suffixes per week), ask students to invent words that use each word part in a sentence, that uses context clues to show the meaning of each nonsense word. Encourage students to use “real” word parts to combine with each targeted word part to form multi-syllabic words. Award extra points for words used from prior week’s words. Don’t want to reinvent the wheel? 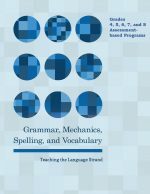 Find every resource you need to teach vocabulary, grammar, usage, and spelling in Pennington Publishing’s grades 4, 5, 6, 7, and 8 Grammar, Mechanics, Spelling, and Vocabulary programs. Teaching the Language Strand. Each comprehensive program is designed to help students catch up while they keep up with grade-level Standards. The vocabulary worksheets are designed to teach every grade level Common Core Vocabulary Standard (L4.0, 5.0, 6.0). Check out the YouTube introductory video for a concise overview of the program. My last post, “Spelling Rules,” discussed why teachers should teach the eight conventional spelling rules as part of a balanced spelling program. I provided links for each of the eight free downloadable spelling rules with accompanying MP3 files of raps and songs to help your students memorize each of these rules. 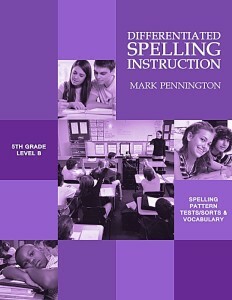 I also offered an essential resource: the comprehensive Diagnostic Spelling Assessment. This week we explore how to use spelling lists and tests as part of a balanced spelling program. □ I use developmentally appropriate word lists as my spelling pre-tests. □ I use the spelling pre-test as a diagnostic tool and adjust student practice according to the results of the assessment. □ I have supplemental spelling word lists that are developmentally appropriate and I use these to differentiate spelling instruction. □ I don’t use the exact same spelling test for my pre and post-tests because the spelling post-tests vary from student to student. Developing a weekly spelling-vocabulary plan that differentiates instruction for all of your students is a challenging task for even the best veteran teacher. Teachers truly want to individualize spelling instruction, but the materials, testing, instruction, and management can prove overwhelming to even the most conscientious professional. After years of experimentation and teacher trial and error, this plan has earned a track record of proven success in combining spelling individualization and vocabulary word study with sensible amounts of teacher preparation and class time. Select twenty spelling pattern words from your grade-level spelling workbook. If you don’t have a spelling workbook, check out Grade Level Spelling Lists. Dictate the twenty words grade-level spelling pattern words in the traditional word-sentence-word format to all of your students. After the dictations, have students self-correct from teacher dictation of the letters in syllable chunks. Tell students to mark dots below the correct letters, but mark an “X” through the numbers of any spelling errors. Of course, double check the corrections of any students who have difficulty following directions or listening. Pretest Errors: Have the students copy up to ten of their pretest spelling errors onto their Personal Spelling-Vocabulary List. Students will need to refer to the spelling workbook or your own spelling list to correctly spell these words. Ten words are certainly enough to practice the grade-level spelling pattern. Tell students to pick spelling errors from both the top and the bottom of their pretest to ensure that all spelling patterns are practiced because many workbooks teach two patterns per week. Writing Errors: Have students add on up to five teacher-corrected spelling errors found in student writing. Oops…this commits you to mark strategic spelling errors in your students’ writing-an essential component of improving student spelling. Vowel Sound-Spelling Patterns (for primary or remedial spellers), Outlaw Words (non-phonetic words), Dolch High Frequency Words, Commonly Confused Words, and the Eight Conventional Spelling Rules. But, how do the students select the right words from the supplemental lists? Parents can be integral partners in helping their children select appropriate words for the Personal Spelling List. After completing the weekly Personal Spelling List, the student must secure a parent signature on the list to verify that each of the selected words is an unknown spelling for the student. This is to prevent students from writing down words already part of the student’s conventional spelling word bank. Early in the school year, send home a parent letter explaining the role of the parent in individualizing spelling instruction. Parents can pretest their son or daughter on the words from the appendices a little at a time to determine which words are un-mastered and need to be included as part of the weekly Personal Spelling List. For those parents who will not complete the pre-assessments, the teacher can have a parent, instructional aide, or another student complete the pretests.